Spring is a season of change. We edit our wardrobes, we deep clean our medicine cabinets, and oftentimes, we feel like our living spaces could benefit from a refresh as well. 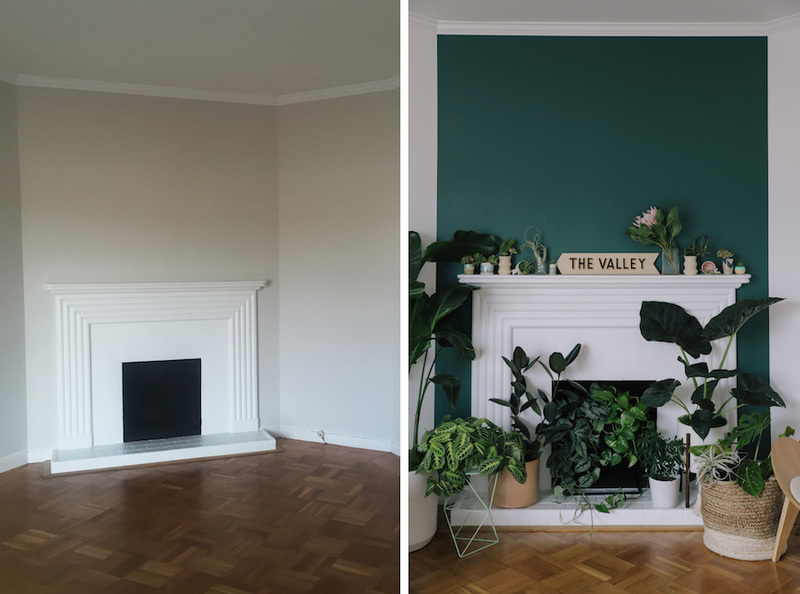 A tactic often overlooked when thinking about how to change your space without breaching your budget is to refresh your wall color. 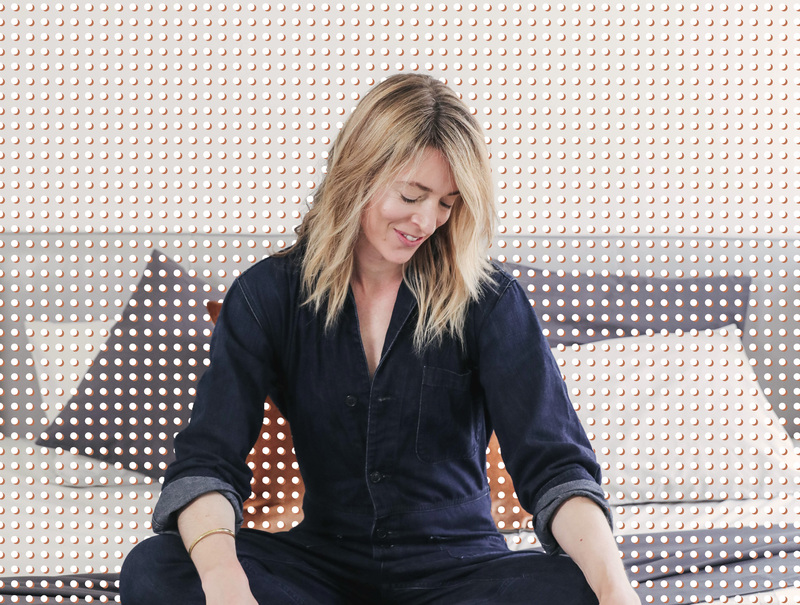 We spoke to Erin Hiemstra of Apartment 34 — a website featuring tips and ideas for intentional modern living — about her recent design project with BEHR and a friend’s gorgeous San Francisco bungalow. 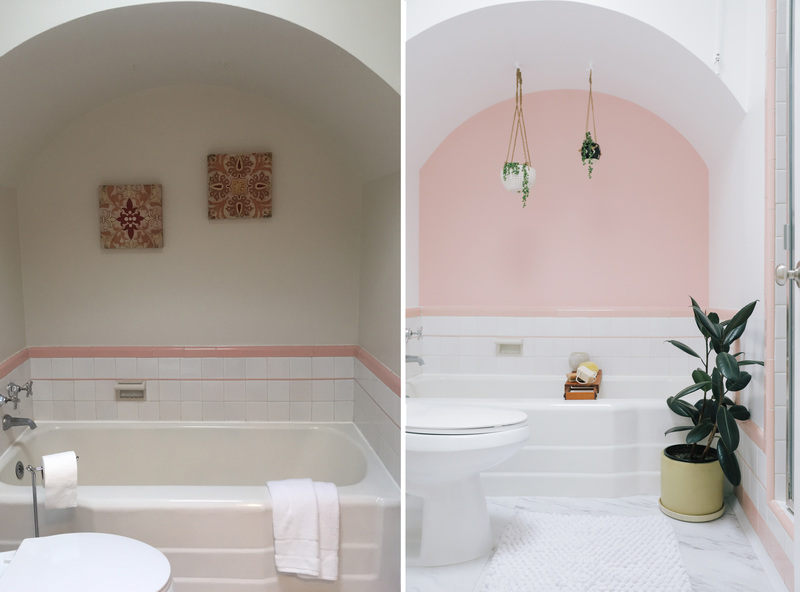 Read on for design trends and tips, and pops of fun color that’ll inspire you. HelloGiggles (HG): What are some design trends for 2018 that you’re loving? see bold uses of color, prints with patterns, and more layered, tactile designs cropping up. 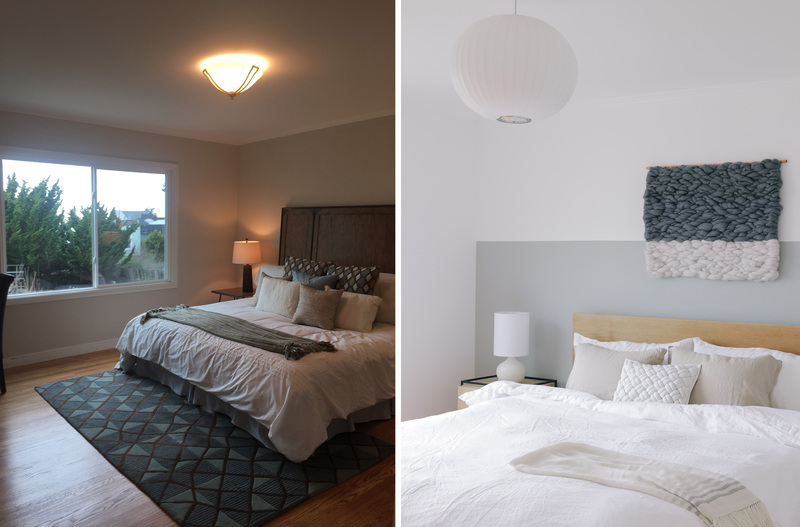 HG: What was the inspiration behind your latest home redesign project? windows to play with, there is also plenty of late-90s lighting, a builder-grade kitchen, and really bad beige paint everywhere. Victorian, I was happy to help Chloe zero in on a vision and bring the design to life. Color is personal to everyone, and selecting the right color can greatly impact the mood of a space. new, trend-forward hues to any DIY-er looking for color inspiration. green reminiscent of the cypress trees that dot the coastline, as well as a soft green that reminds us of the wild grasses that cover the sand dunes. transform Chloe’s house from dated and dull into a fresh, bright and modern feel that is applicable to how people live today. HG: How did you select the colors you went with? Did the fact that the home doubles as an Airbnb factor into paint color choice at all? pulls in the greens of the trees and the colors of the ocean found in Chloe’s neighborhood. A Moroccan-inspired rug and modern art in soft hues by Mineral Workshop add to the laid-back beachy-boho feel. It’s a calm, welcoming spot for a visitor to stay. HG: The dark green “Equilibrium” color is so rich and gorgeous. What would you say to a homeowner who wants to use the color, but is afraid to make such a bold choice? , but is still fresh. It reflects light beautifully and shifts tones as the light shifts. A really strong wall color grounds a room and serves as an anchor for anything you put in front of it. HG: Is there a specific trend you really want to catch on? 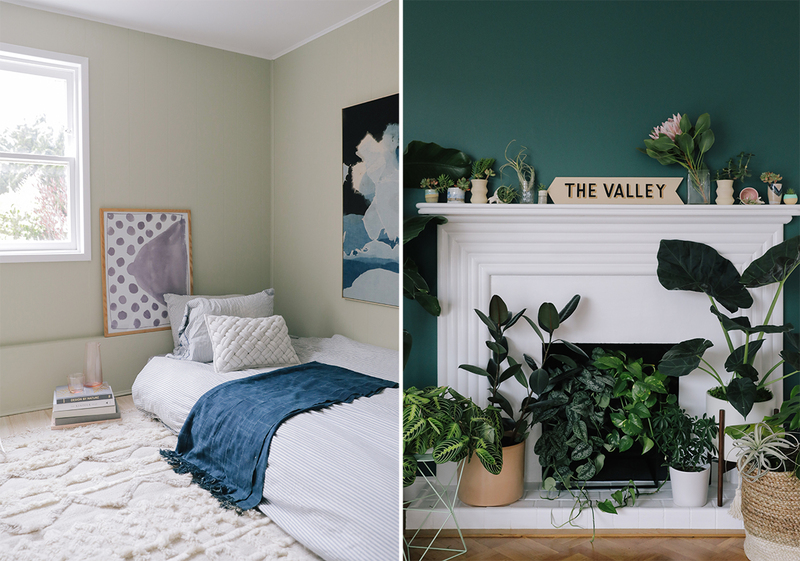 BEHR’s 2018 Color Trend palette. Nicole’s techniques are so cool. HG: What does modern living mean to you in 2018? we need. I certainly want to be in a beautiful environment, but I don’t feel the need to collect things just because they’re beautiful. Now you can find so many functional objects with really good design. what you bring into your home, you can really impact your emotional well-being. HG: What design trends do you predict we’ll be seeing throughout the rest of 2018? EH: I think the use of color is only going to continue. backdrop but inject color to make your spaces pop. It feels modern and fresh. Hunter green has been trending on Pinterest. home is a great example of using color without going overboard.